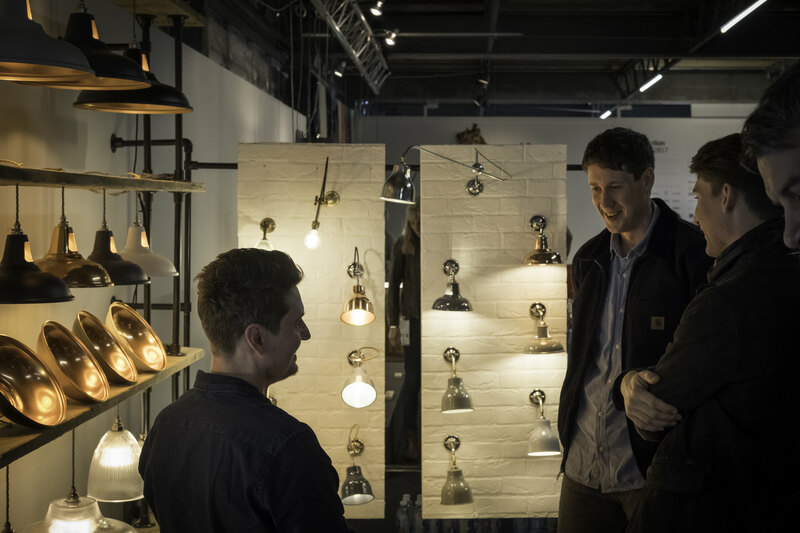 Last week we headed up to London to exhibit at our first ever show as part of London Design Week. 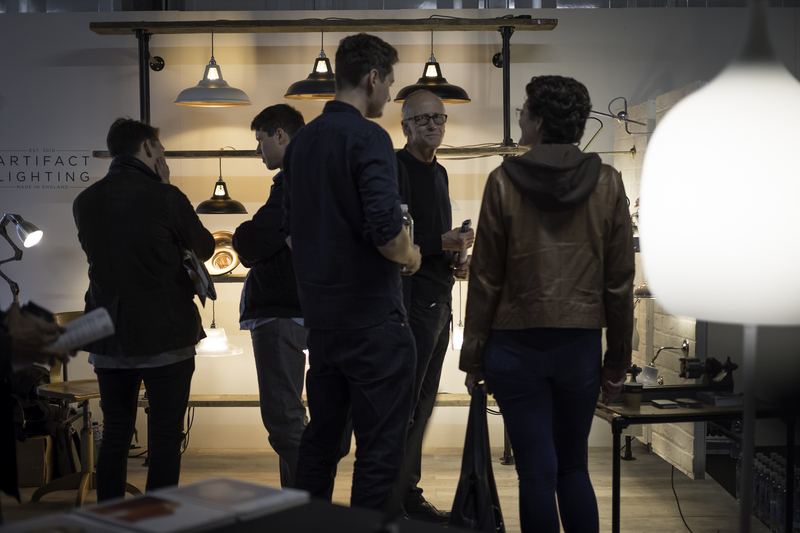 Based around the new design district, King’s Cross Creative Quarter, we set up shop at Designjunction, displaying our latest products and classic designs in Cubitt House. 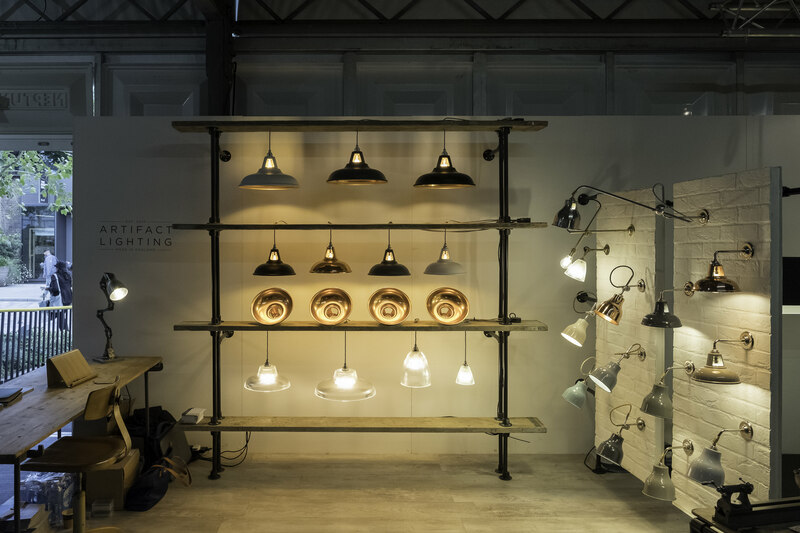 For our first show we decided to create a stand that was inspired by our vintage, industrial roots. 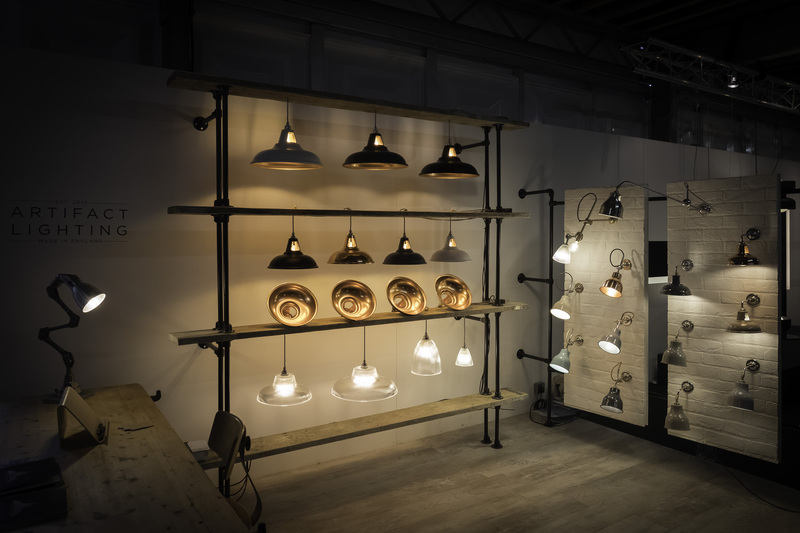 Using salvaged timber and scaffold pipes, we built a rustic shelving unit from which to hang our contemporary pendants. 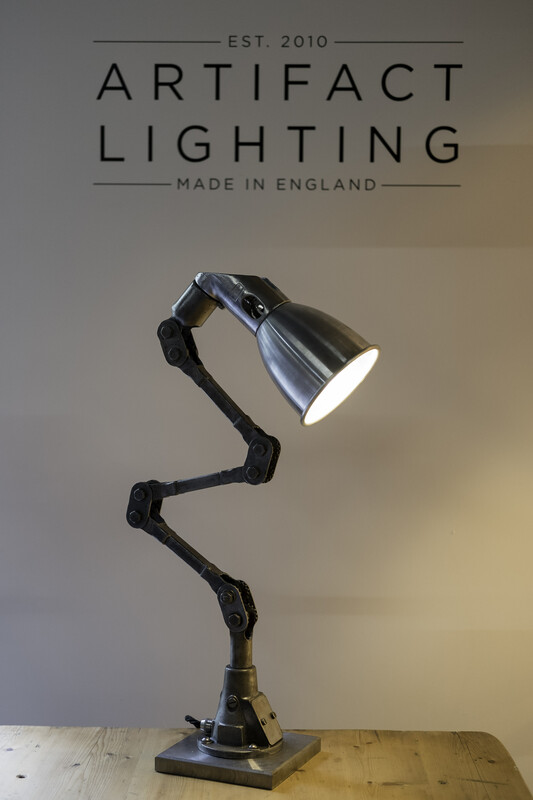 We also featured one of our vintage desk lamps. We mounted a selection of our factory inspired wall lights on white brick panels that added character to the minimal display. 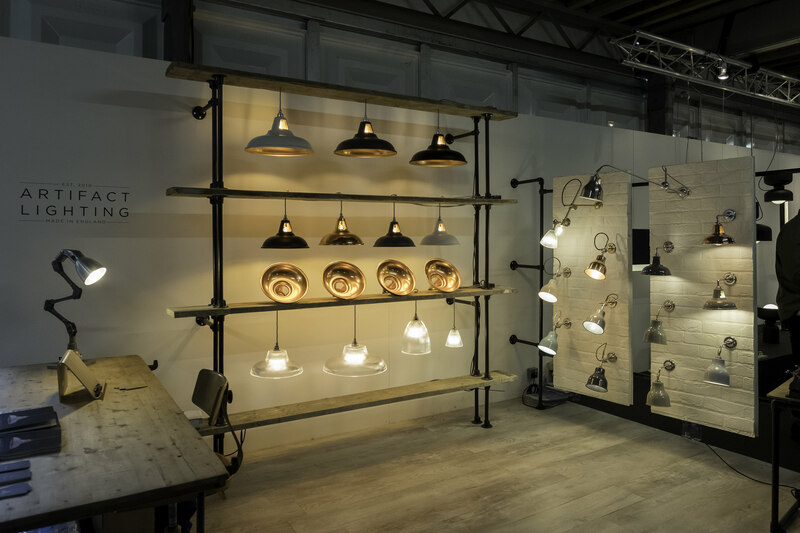 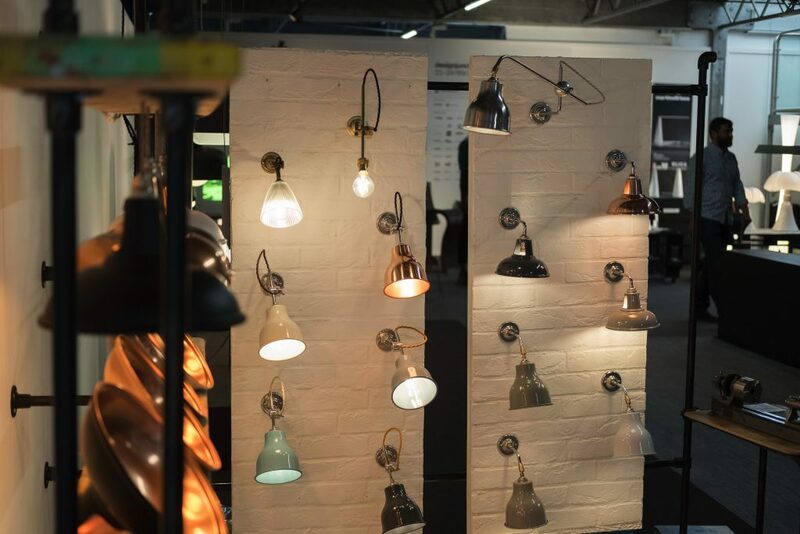 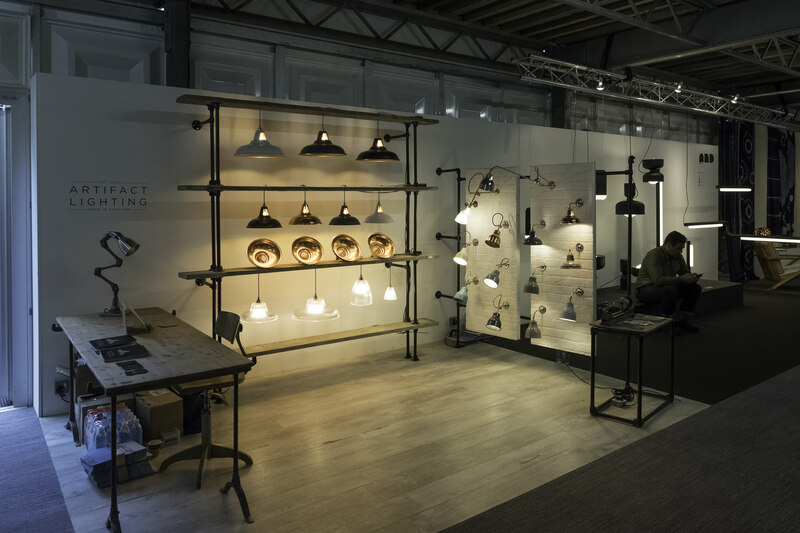 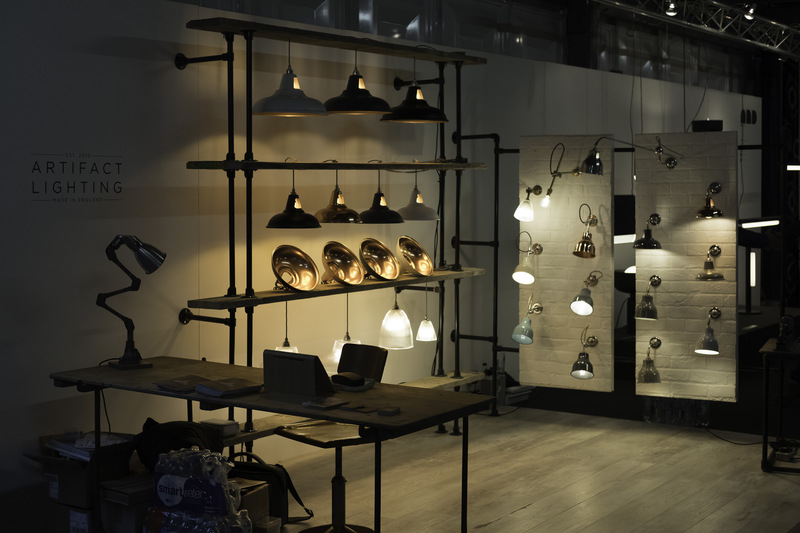 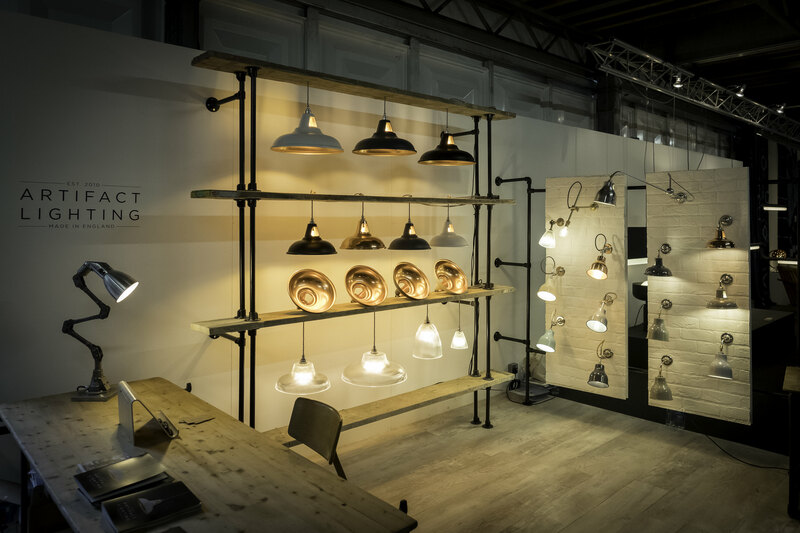 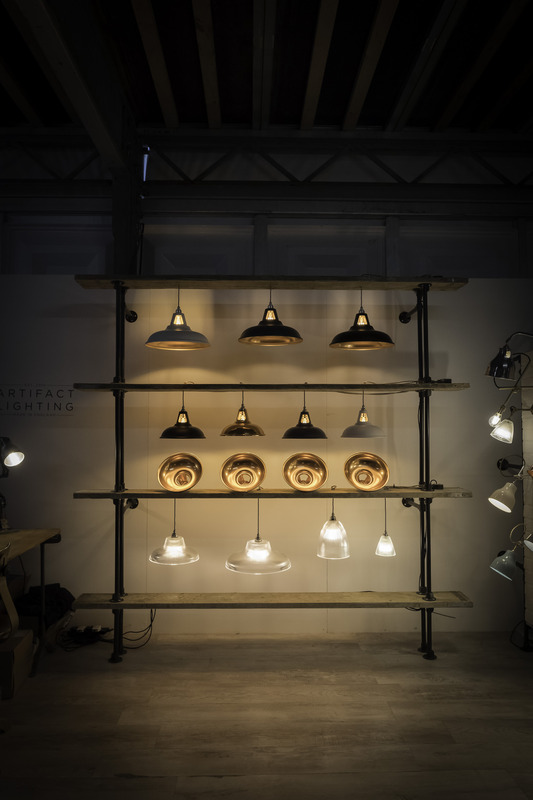 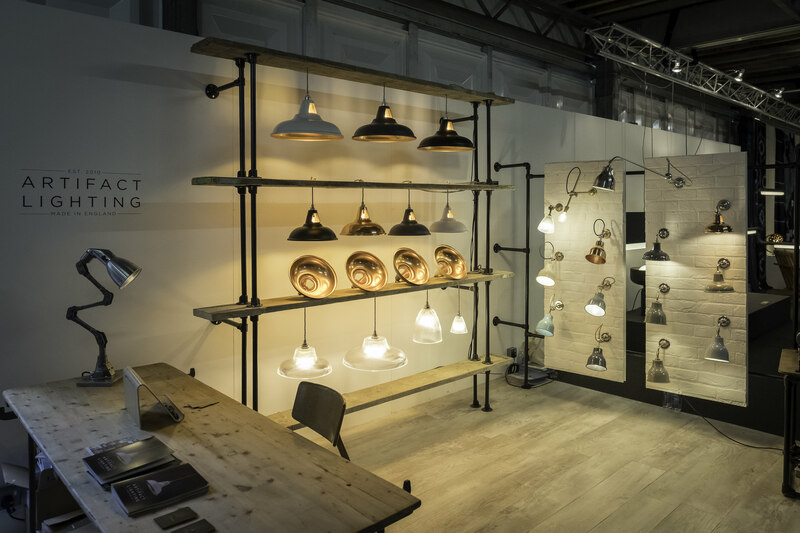 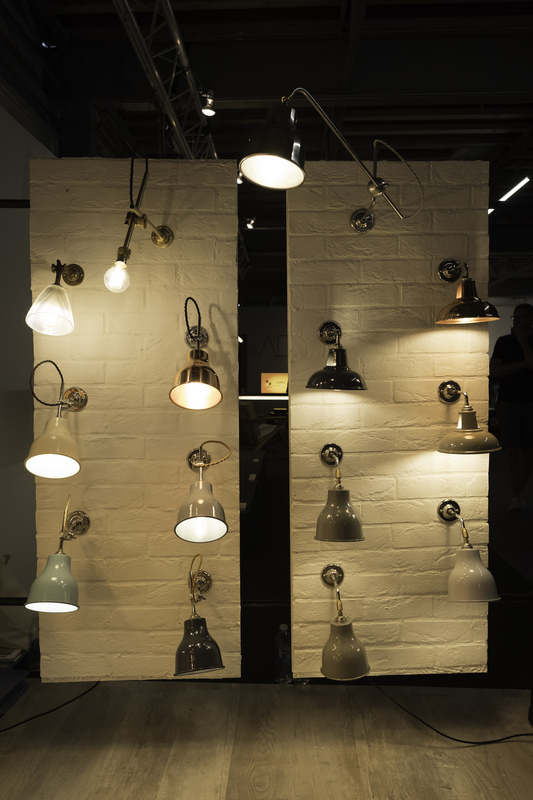 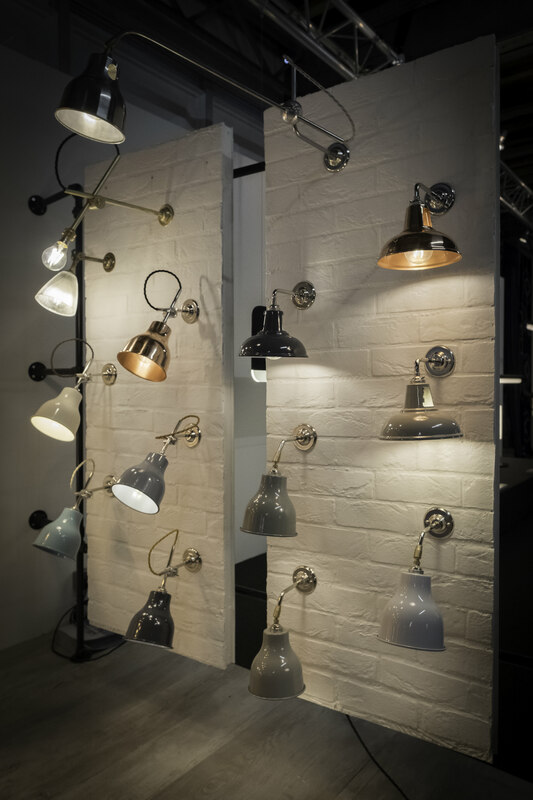 Also connected with the scaffold pipes, our wall light section featured our Coolicon and Factory Wall Lights and bespoke designs. 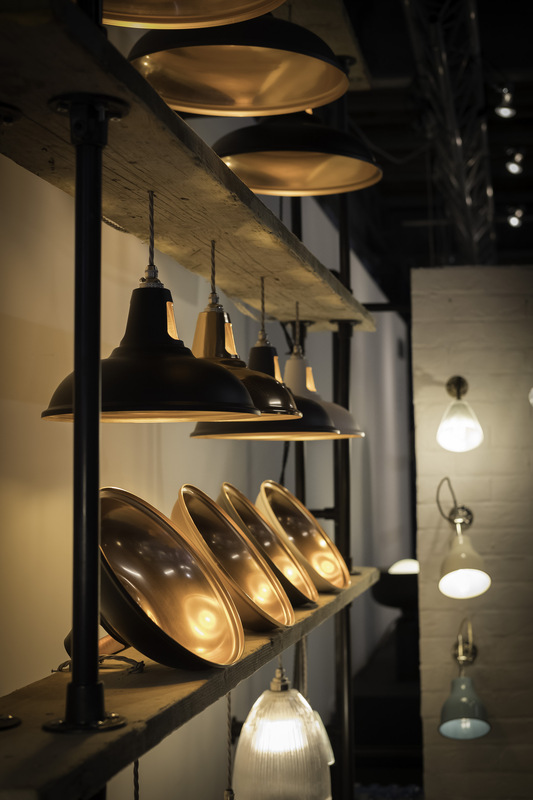 With extended brackets and custom finishes, the one-off fixtures demonstrate our ability to produce bespoke. 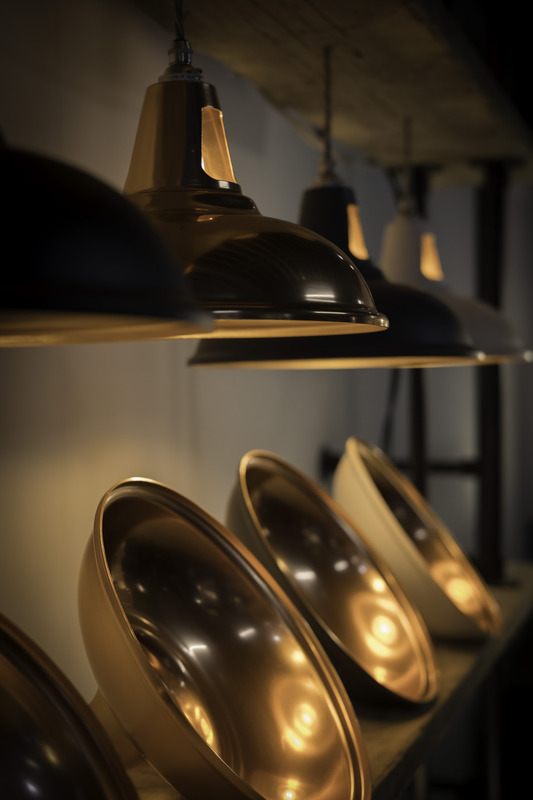 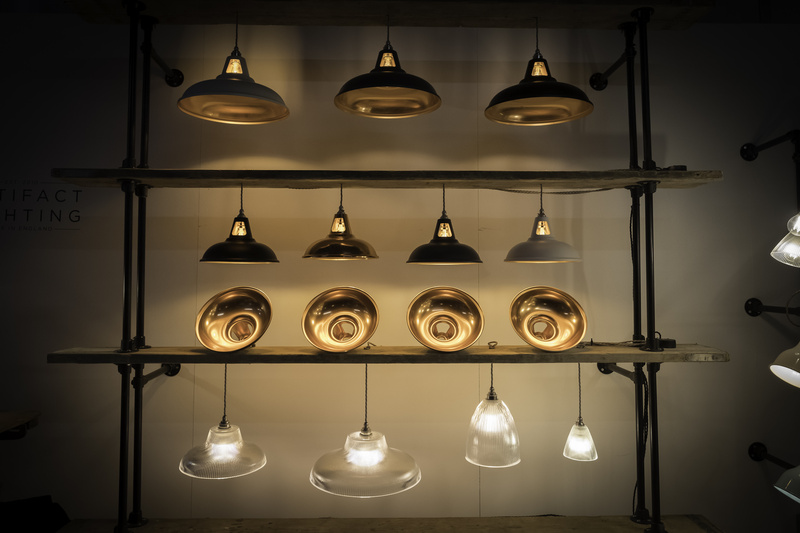 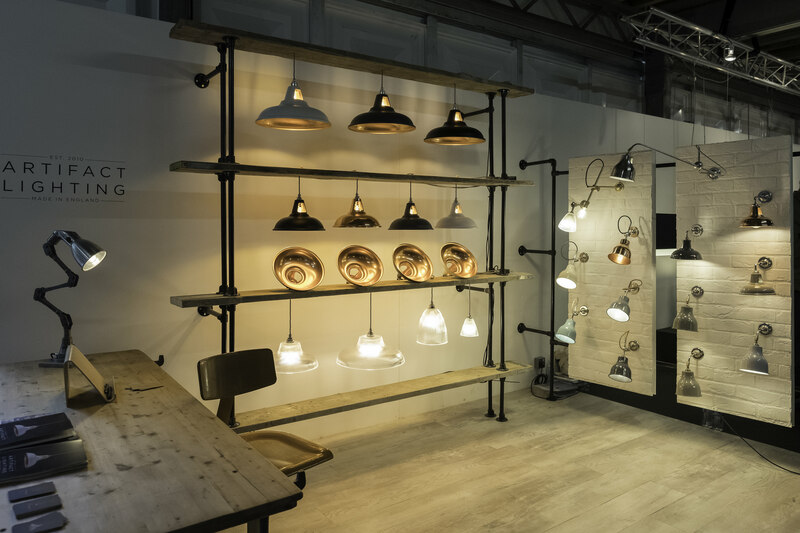 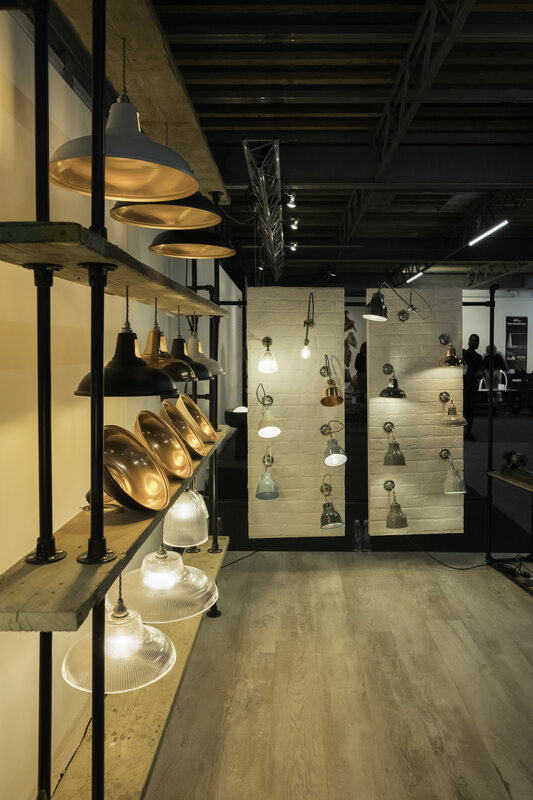 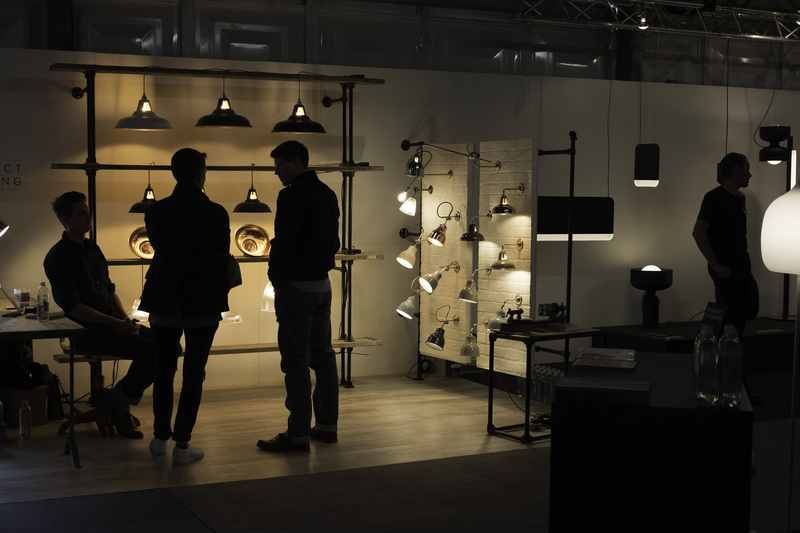 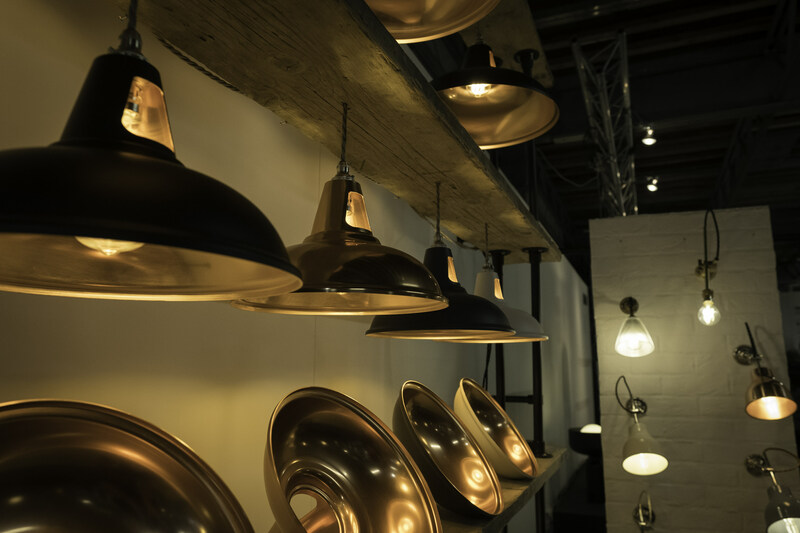 Our ever-popular copper pendants were a big hit at the show as we launched our Fusion range. 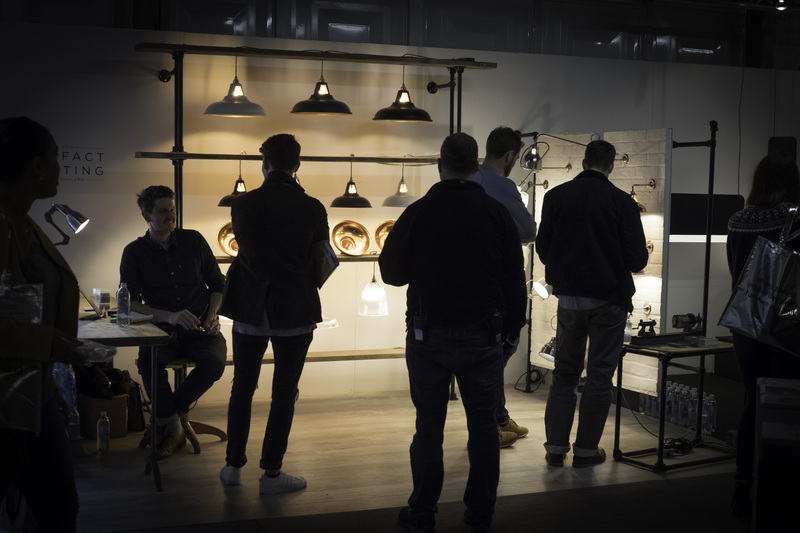 With a polished copper interior and matt powdercoated outside, the standard and supersized Coolicons caught the eye of many visitors to the show. 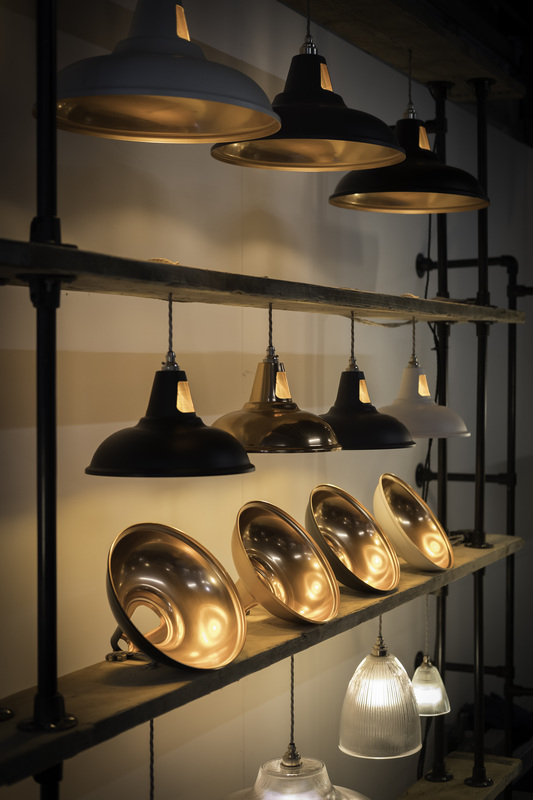 Also featured in our exhibit was the Prismatic range of pendants. 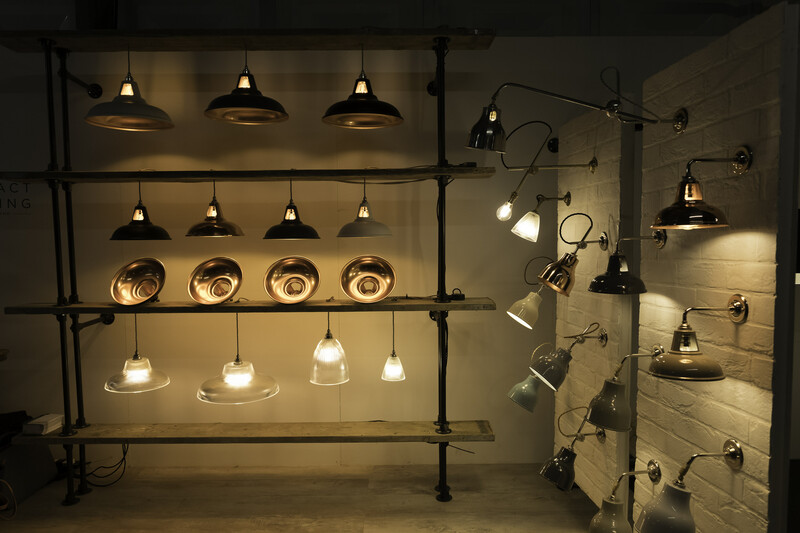 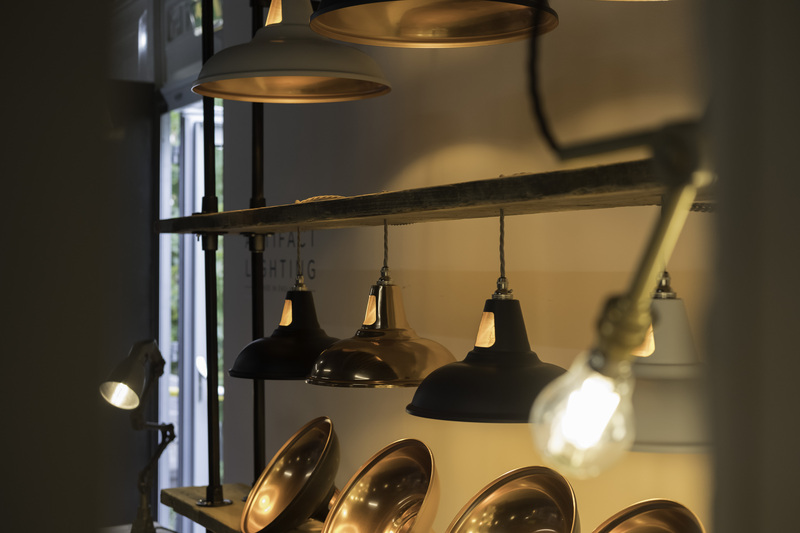 All four sizes hung from the reclaimed shelves, a nod to classic vintage design; a contrast to the more modern Coolicons with their contemporary twist on industrial lighting. 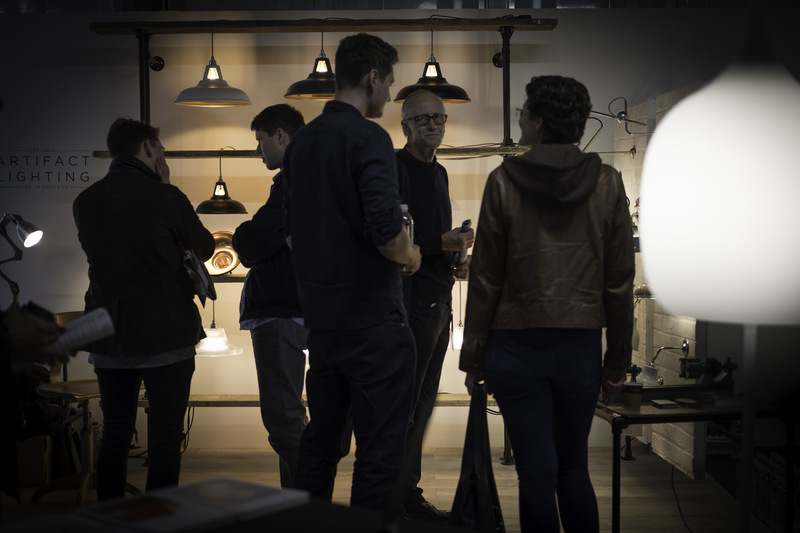 Our first show was a huge success and the team enjoyed meeting so many previous and potential customers at Designjunction. 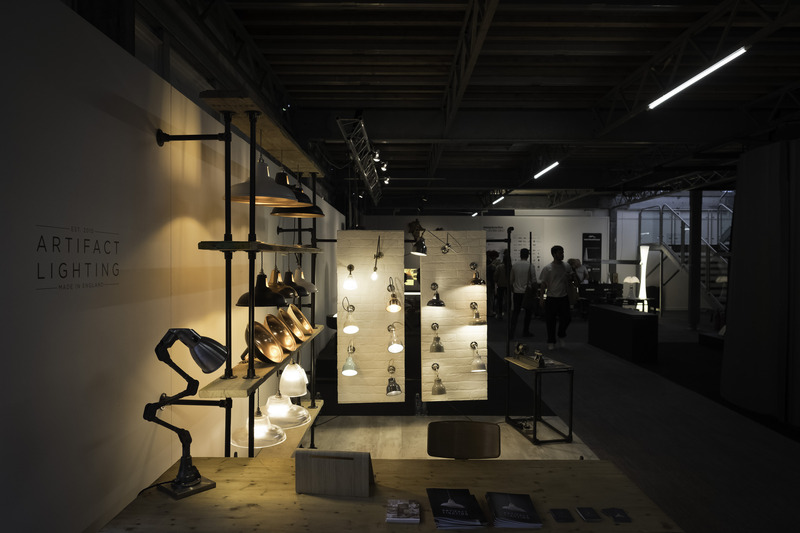 For those who didn’t make it to the show, check out the gallery to see what you missed!